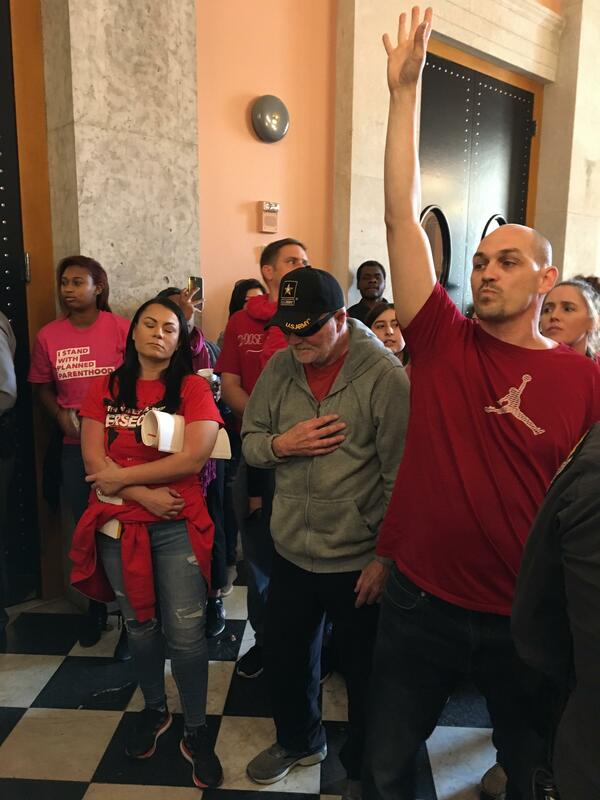 Supporters of the "Heartbeat Bill" chanted outside the Ohio House chamber before the vote. 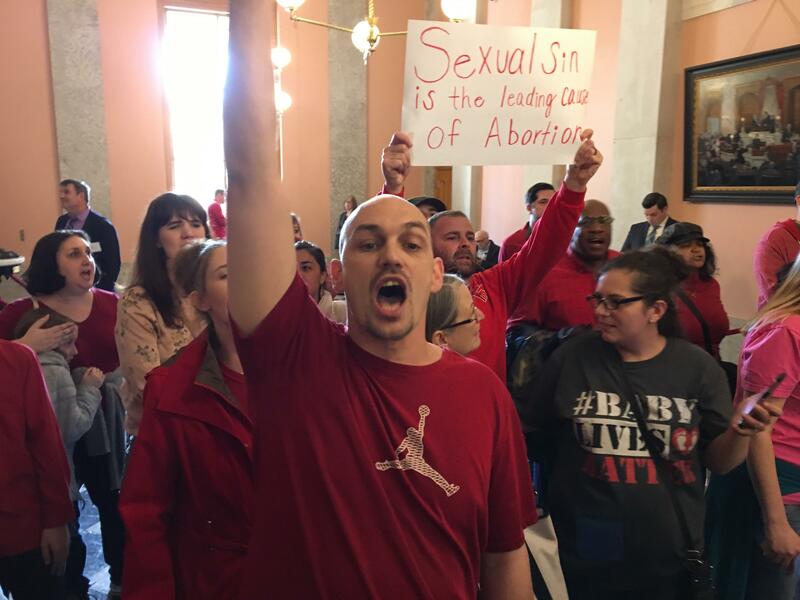 Opponents of the "Heartbeat Bill" chanted outside the Ohio House chamber before the vote. "Heartbeat Bill" supporters prayed outside the House chamber before the vote. 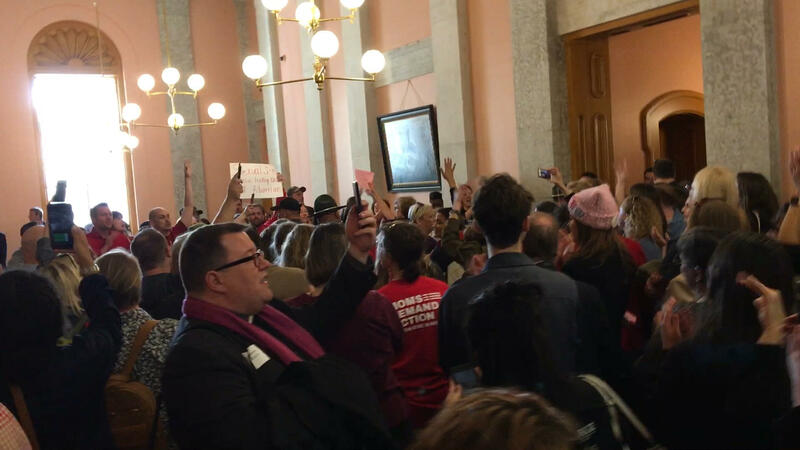 Dozens of pro-choice and pro-life protestors demonstrated outside the House chamber before the vote. One of the two banners that opponents of the bill unfurled after the vote in the House. Earlier in the day, several Democrats from the House and Senate spoke about their opposition to the bill. “She attempted to give herself an abortion and it went horribly wrong and she bled to death in that bathtub and died," Russo said. “Before I formed you in the womb, I knew you. Before you were born, I set you apart. I appointed you a prophet to the nations. My question would be this: why would God call and appoint a mass of cells to be a prophet before he was born?" Ginter asked. “Modern science is clear on this and to ignore a heartbeat is to deny the scientific evidence and to deny such evidence is heartless," Keller said. “Simply put, you needed lungs and a brain in order to be able to live and there’s no science or technology that we have that can replace that need," Liston said. 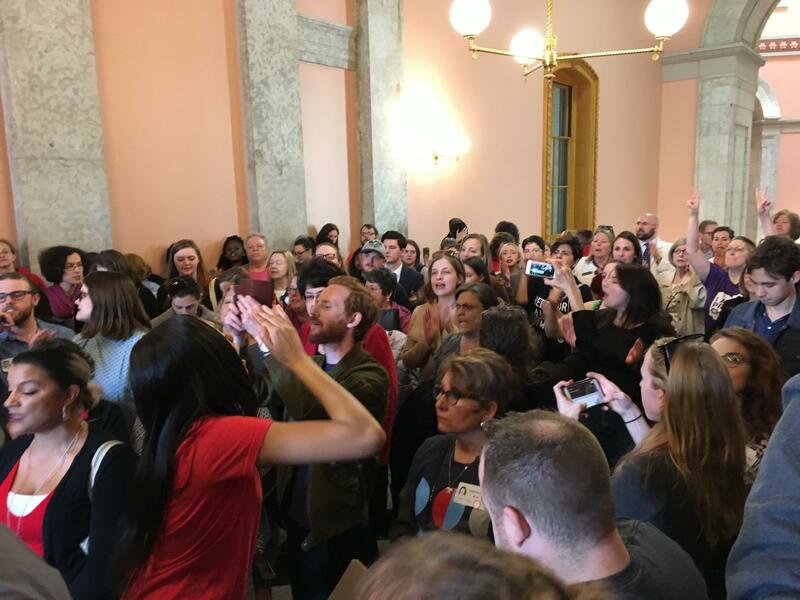 “This was a reasoned, measured approach that has been thoroughly that has been debated in the legislature than perhaps any bill ever," Obhof said. The bill passed twice during Gov. John Kasich’s eight-year term and he vetoed it both times - most recently last year. Gov. Mike DeWine says he will sign the bill and once he does, it’s almost certain it will be challenged in court - something its backers, such as Rep. Ron Hood (R-Ashville) welcome. “Will there be a lawsuit? Yea, we are counting on it. We’re counting on it. We’re excited about it," Hood said.